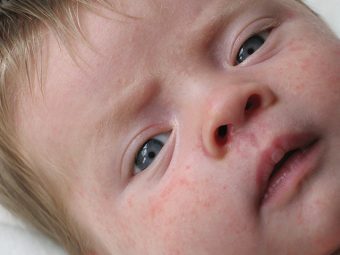 Like how change of season affects your skin and body, it also has the same impact on babies. They need special attention every season. Just like in winter, how you make sure that your baby is wearing warm clothes, you should also take extra care of him or her during summer. Baby’s diet is the main thing that should be taken care of. 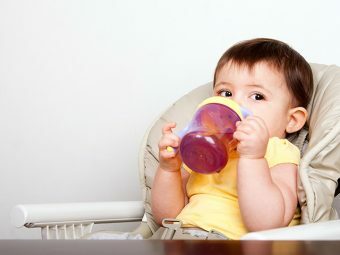 If your baby relies only on breast milk, make sure you feed her often, to keep her hydrated. As sweating to leads to loss of fluid in body. If your baby has started intake of solid food, then a couple of feeds with boiled milk is good enough. Keep powder milk as in summer cow’s milk tends to get spoiled easily. Always keep formula milk packets in re-sealable jars. When you are going for a family outing, try to take food such as fruits and cookies. Since cooked food can get spoiled due to heat. Another important precaution to be taken during summer is about hygienic water. Immunity of babies under 6 months of age is under development, thus making them prone to infections. Always use boiled or filtered water for your baby. As hot water kills bacteria present in the water. When using mineral water, check if the seal is intact. During summer, kids should drink 12 ounce of water to prevent dehydration. Parents should watch out for the symptoms of dehydration. 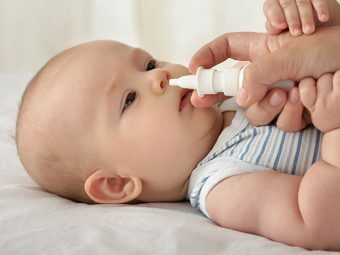 Keep a check on baby’s urine output. Heat rashes are common during summer. These tiny red bumps show up on face, neck, arms, etc. They are uncomfortable and tend to be itchy. Make sure that your baby takes a shower in lukewarm water. Use mild soap for the delicate skin. Make her wear loose fitting clothes. Diaper rashes are common during summer, therefore use diapers only when required. Cool surroundings are preferable. Decrease the amount of hanging out in slings. Air condition does not cause harm. A soothing temperature of 25 degrees is perfectly healthy for your baby. Mosquito or Bug bites are common in the summer. Use the right kind of bug spray for your babies and keep mosquitoes away. Natural ingredient bug sprays are available in the market. Make sure that you use them. Air coolers, if used, should be regularly cleaned. Water of coolers should be changed to prevent breeding of mosquitoes or other insects. Choosing the right clothes is very essential for proper baby skin care in summer. Do not over wrap your little one. Cotton, loose fitting clothes are ideal for babies in the summer. If you are going outdoors, choose light colored clothing. Children below 6 months of age have very delicate skin. A little amount of sunscreen can act as a shield. But before you use any kind of sunscreen lotion, talk to your pediatrician to choose the right one for your baby. Don’t let the heat spoil your baby’s skin. 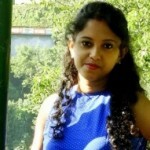 Make sure that you follow these tips for baby care in summer. Rest enjoy the sunny weather with your darling and have loads of fun moments together! Don’t forget to share your tips on baby care during summer with other parents by commenting below. 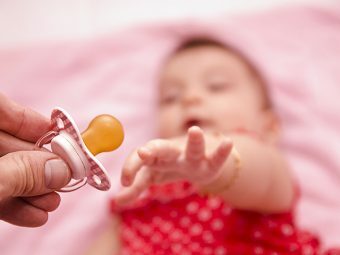 How To Stop Your Baby’s Pacifier Habit?